You are currently browsing the tag archive for the ‘Hot Air Balloon’ tag. First Night Design | May Easter Joy Attend You in 2016! FROM THE ARCHIVE 31st March 2014 & 2015 because another year has gone and I still haven’t created a new Easter image! I’m never quite sure how to categorise creations like May Easter Joy Attend You. Is it a collage? Is it digital art, a term that applies to everything I do? Why do I concern myself? Sites like Saatchi Art and Fine Art America need you to add this information when you upload an image. It drives me nuts, partly because I loathe categories. The method I use is collage in that I prepare a background and then bring in elements around a particular theme and blend to a seamless whole, rather than what is strictly known as collage where elements are arranged seemingly haphazardly such as in Indian Glories. In this instance, I prepped a background by doctoring one of Kerstin Frank’s textures, the same one I used for Alice’s Adventures. Some of the Easter elements I brought in were discarded and replaced but not before I’d worked on them quite substantially — all good experience and not a waste of time! These rabbits looked best in the Darken mode. But this meant the egg was far from clear. I used the Lasso Tool to select it (the Magnetic Tool is never accurate enough unless you are working with sharply defined objects) and created a new layer for the egg alone. This layer I left in its Normal state and placed it on top of the original egg. It needed touching up with the Brush and Clone Stamp Tools before I was satisfied. The Darken mode also meant that the lower part of the right-hand rabbit had taken on the green of the background. This needed adjustment which I did by tracing the exact shape of the offending part with the Lasso Tool. I moved to the background image and chose a lighter area in the ‘sky’ to create a new layer of the rabbit-leg shape. I left it in a Normal state and placed it behind the rabbit. Several colour adjustments were needed until the rabbit’s nether regions matched the rest of his body! The Multiply mode was ideal for the hot air balloon but left the chicks in the basket more green than yellow. Mind you, one could argue that would be appropriate as surely the poor little blighters would be air sick! I used the same technique on them as I did on the egg to bring their yellow feathers back to life. This left me with the bottom half of the balloon which, like the chicks and the rabbit, had taken on too much of the background to match up with the rest of the balloon. I used the same procedure as with the rabbit’s nether regions to bring it up to scratch. 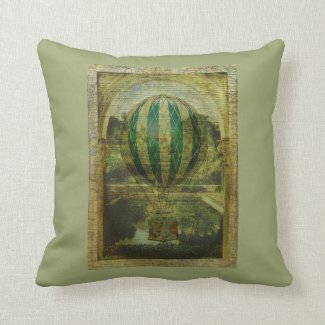 I had originally planned to use the Easter greeting on the hot air balloon graphic at the top of the image but it failed to make the impact I had envisaged so I made a type layer instead with a font called Great Vibes. The last touch was using the graphic [left] by removing its border and background and applying a ‘drop shadow’ and ‘bevel and emboss’ effect. First Night Design | May Easter Joy Attend You in 2015! Sadly, I haven’t had a chance to create any more Easter designs this year, partly because I’ve run out of ideas. I’m bored with eggs and rabbits and whimsy, and nothing amusing is coming to mind, so here’s a re-post of May Easter Joy Attend You from 2014 of which I’m rather fond even though it contains rabbits and chicks and an egg! I dedicate this re-post to the artist Mary of Oil Pastels by Mary because we were discussing working with layers in Photoshop a couple of days ago. Do visit Mary’s blog to see her beautiful work. The last touch was using the graphic above by removing its border and background and applying a ‘drop shadow’ and ‘bevel and emboss’ effect.